This is from a package of cotton balls we got at Wal-Mart. Do you have the cojones to use the "jumbo size balls"? 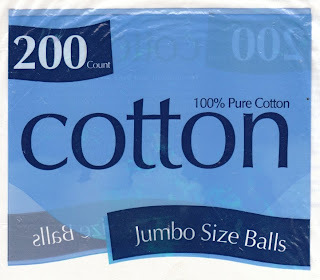 At least it doesn't say on the package that the jumbo balls are sterile.